Files helps millions of people around the world organize their media, share files offline, and free up space on their phones. And by making the most of limited storage, Files helps users keep their phones running like new. However, we've heard that it's a challenge to keep phones looking as clean on the outside as they are on the inside. Grease and fingerprints can stick to screens throughout the day, creating unsightly smudges and streaks. Screen Cleaner is a new feature in the Files app that uses geometric dirt models, combined with haptic micromovement pulses, to dislodge what’s stuck to your screen. Screen Cleaner then generates a thin magnetic field around the surface of the phone, actively protecting against impurities—with a sweet scent to boot. Set aside old covers and cases and activate Screen Cleaner. Give it a try at g.co/getfiles. 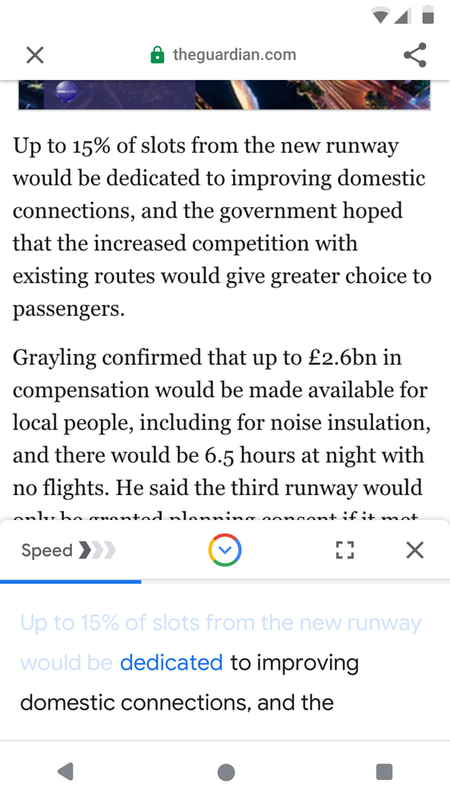 This entry was posted in Official Google Blog and tagged Next Billion Users on April 1, 2019 by The Official Google Blog. 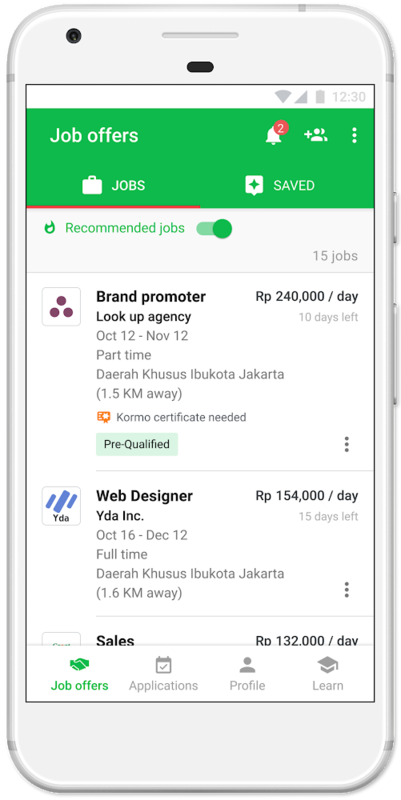 This entry was posted in Official Google Blog and tagged area 120, Indonesia, Next Billion Users on March 11, 2019 by The Official Google Blog. One of my favorite snacks is made by Rina Trinawati, a 45 year old entrepreneur from Indonesia who bakes cookies for a living. I like them because they’re not just a treat for the tastebuds. Her business, Tin Tin Chips, employs mothers of children with disabilities. Since Rina learned how to market her cookies online, orders have shot up 75 percent. Rina now employs 25 women and donates 50 percent of her profits to organizations caring for children with disabilities. This entry was posted in Official Google Blog and tagged Google in Asia, Indonesia, Next Billion Users on December 4, 2018 by The Official Google Blog. Last December, Google launched Files Go: an app to free up space on mobile phones, find files faster and share them with others easily and quickly—even without an internet connection. 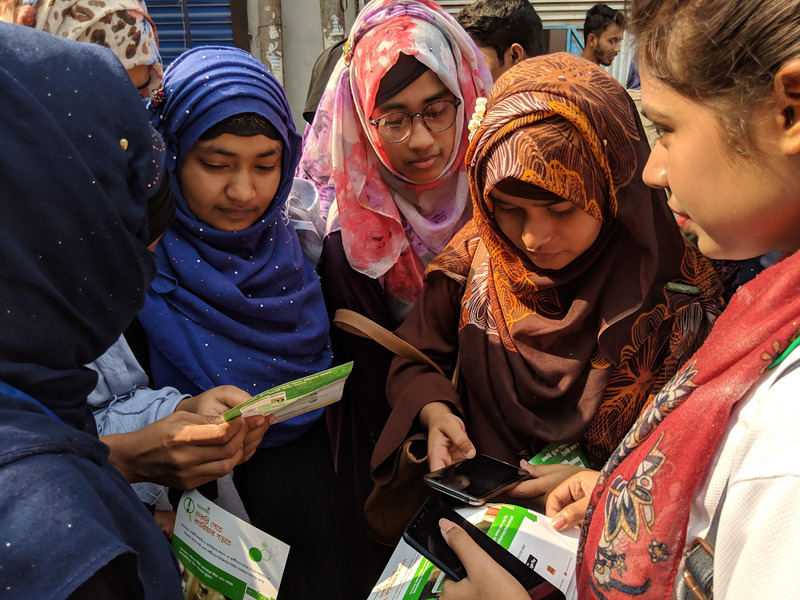 Files Go was built to solve file and storage management problems for the next generation of smartphone users in countries such as India, Brazil and Nigeria. It helped people make the most of limited phone storage, enjoy their favorite videos and music, and send apps to each other at blazing speeds without using mobile data. In less than a year, Files Go has grown tremendously to serve over 30 million monthly users. We’ve noticed that people across the globe are using it, no matter what type of mobile phone they have or how fast their internet connection is. We often find that products designed for the Next Billion Users work just as well for everyone—including people with a fast 4G connection and a top of the line smartphone who want to organize their files and save on storage as well! Today, we’re rebranding the app to Files by Google. We’ve also redesigned the user experience to make sure that the content of your mobile phone is the focus when you use the app, all while keeping the same functions and playfulness that people love. When you clear out files you no longer need, we now celebrate how much you saved by telling you what you’ve freed up room for—whether it’s enough to take a few more selfies, or to download a whole movie! You can download Files by Google here. We’re keen to hear what you think. This entry was posted in Official Google Blog and tagged Next Billion Users on November 8, 2018 by The Official Google Blog. Sitting in her apartment in Mumbai a few years ago, Radha wondered if there were activities nearby for her two-year old son. She had recently moved to the city from a small town about 300 km away in search of better education for her children. Since then, she’d slowly built up a network of acquaintances, mostly from chance meetings traveling up and down the lift. But there was something missing. Back in her hometown, it was easy to ask Shanti Aunty across the way about local dressmakers. And—along with the keys to the family cupboard—she had inherited many business relationships from her mother-in-law; the local baker, the nearby mobile repair shop. But in such a big city, finding answers to simple local questions was more difficult. 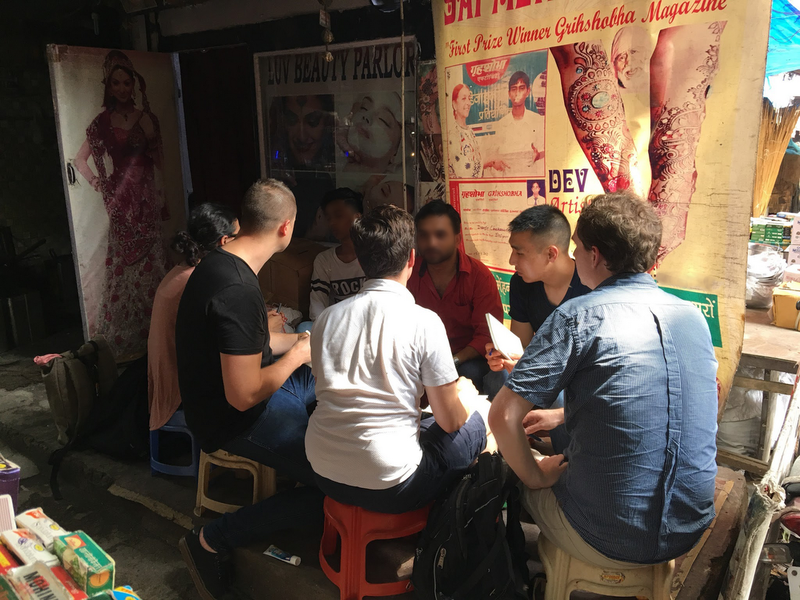 This kernel of an insight, gathered by Jeannie Foulsham while studying local search in India in 2014, led to the development of a product we call Neighbourly. 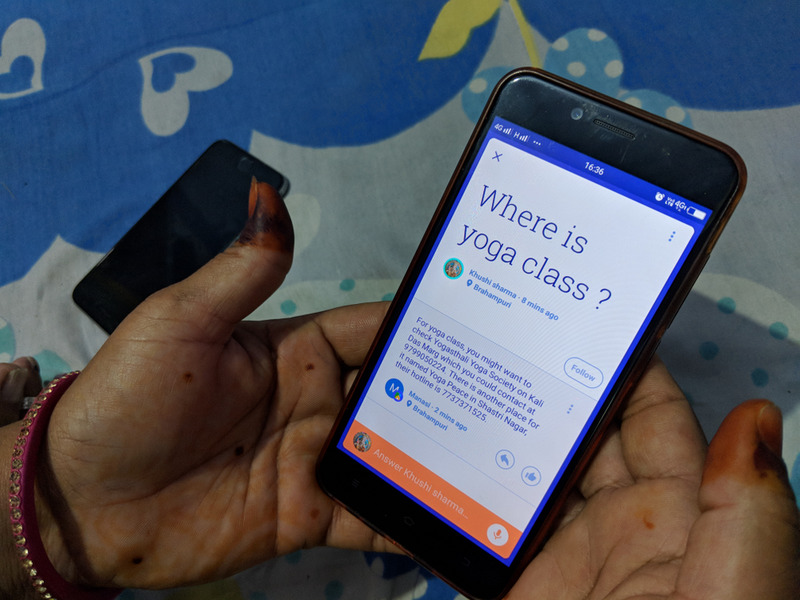 Neighbourly is a mobile application that provides people with an easy interface to ask and find answers to neighborhood questions and is available in seven cities in India so far. And we built it in direct response to conversations with users like Radha. This is just one example of how user experience (UX) research can build an understanding of people’s context, behavior, and comprehension to inform the design of products or services. There are hundreds of researchers across Google who gather insights to inform all of our product offerings. This research is especially key to how we approach products for the next billion users—people coming online for the first time, usually on mobile. To ensure we're living up to Google's mission of universally accessible information, we must deeply understand the similarities and differences in how these people look for and use information in their day to day lives. In the early days of developing Neighbourly, Muzayun Mukhtar, a UX researcher based in our Bangalore office, would spend hours walking the streets of Delhi, Mumbai, Jaipur and many other smaller cities conducting intercept interviews, stopping people for a conversation to get a glimpse into their lives, their impressions and their relationships. She spent time in small communities called societies, where she learned about the social dynamic between neighbors. For a deeper look at how they lived, Muzayun worked through locals to meet people in their homes for contextual inquiries to see how they solve day-to-day problems. She met people from different stages and walks of life: mothers, homemakers, those new to the community as well as neighborhood lifers. She would then take these insights back to our product teams for incorporation into the product roadmap. 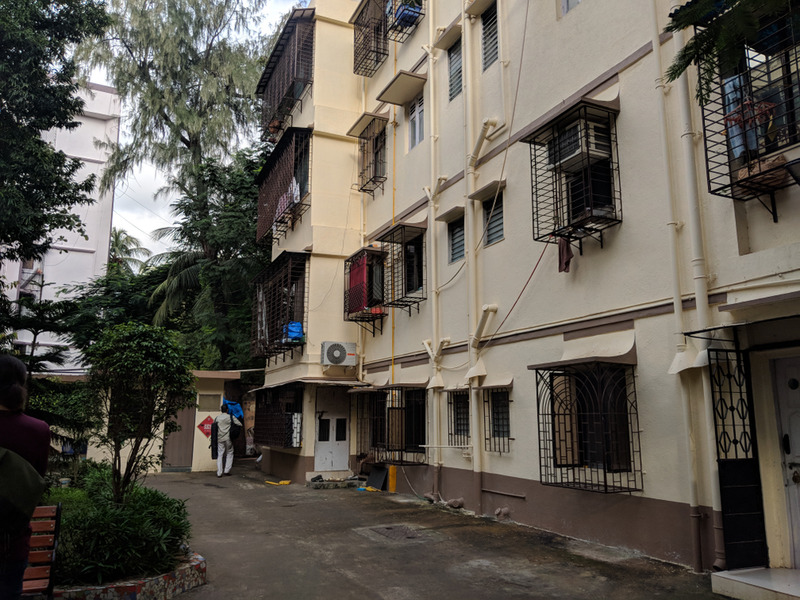 We visited many communities in cities around India during the design and development of Neighbourly, including this society in Mumbai. Divya’s remarks reinforced some key themes that the team had heard before, and helped crystallize the need that Neighbourly could address. First, people prefer trusted word of mouth to answer local questions. And second, for many people, neighborhoods feel broken; you no longer know your neighbors so word of mouth is less of an option. The team’s challenge was now clear: How can we encourage communities to respond in a caring, helpful way when people have questions? How might we help people find trusted, neighborhood answers? UX research doesn’t stop as products are designed and developed. 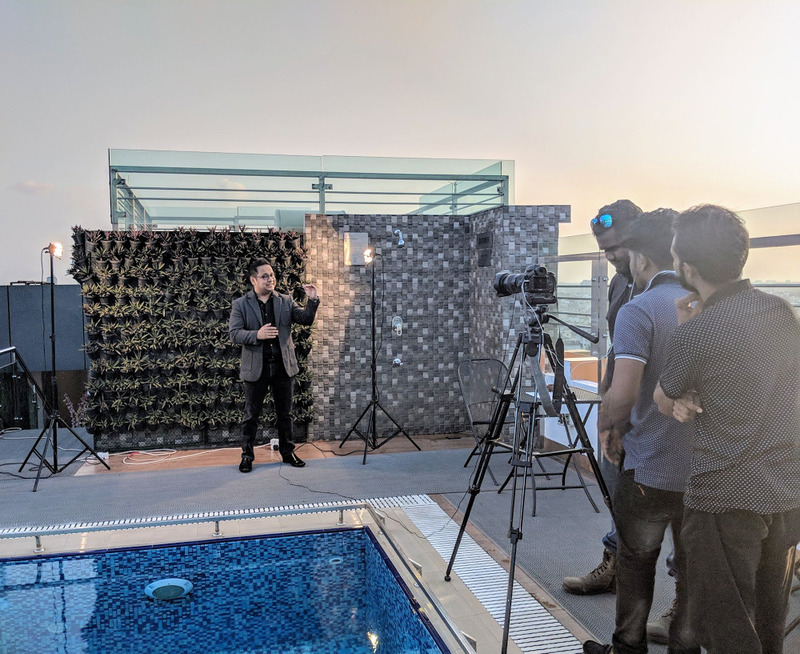 In the case of Neighbourly, we conducted multiple rounds of iterative usability tests where we showed product designs to participants and gleaned their feedback. This gave designers on the team some key insights that they built into the product. For example, we added a mic button to quickly transcribe questions in the user’s local language, making it easier for people to ask questions as effortlessly as if they were asking a friend. We also added a quick swipe to advance question cards to make the product more fun and lightweight. Product teams join in for research, building intuition and grounding decisions in real insights. Neighbourly is one product among many, developed to address a specific need. However, we’ve often found instances where addressing local needs can grow to have global impact. For example, Files Go, an app that helps you free up space on your phone, was built from insights gathered primarily in India and Brazil, but it’s resonated with audiences globally. Google aims to build products that improve the lives of as many people as possible. And from the initial insight to the finishing pixel, UX research helps product teams stay connected to the pulse of the user. By staying focused on the needs, behaviors and concerns of the people for whom we’re developing our products, we can more effectively build for everyone. This entry was posted in Official Google Blog and tagged Next Billion Users on September 26, 2018 by The Official Google Blog. India has the second largest population of internet users in the world—and it’s only getting bigger. Around 40 million new users come online in India every year, and not just from metropolitan centers, but increasingly from rural areas as well. 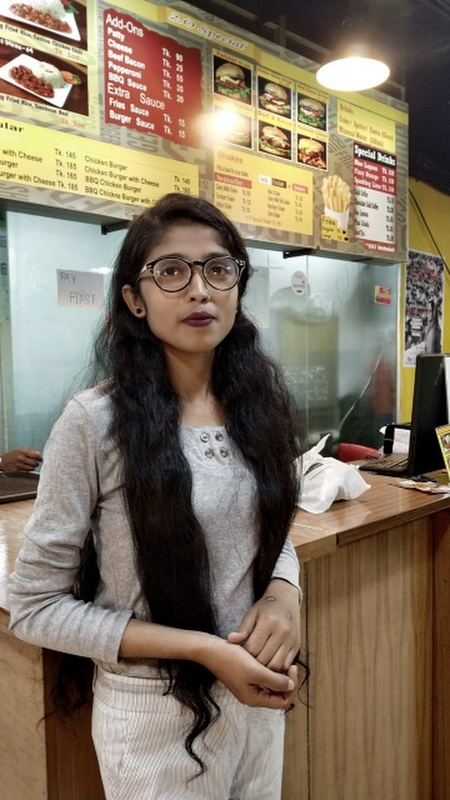 And they’re no longer predominantly men: in the next three years, we expect 45 percent of internet users in India to be women. This rush of new users online has greatly transformed the Indian economy and culture, from the rise of local startups to the growing use of e-commerce, digital payments, ride sharing, and online video by people from Jammu to Thiruvananthapuram. Sometimes technology can help in extraordinary circumstances. India has gone online to rally behind the victims of the Kerala and Karnataka floods. Our Crisis Response team turned on SOS alerts on Google Search in English and Malayalam, and activated Person Finder to help people search for family and friends. Locations of flood relief resources like shelters are being shared on Google Maps. Outside of the tech support, Google.org and Googlers are contributing over $1 million to support relief and recovery efforts. And others can also donate to Kerala flood relief on Tez. Technology is a key tool in crises, but it’s also critical for supporting India’s ongoing national momentum. In this spirit, we made announcements at this year’s Google for India event, towards three goals: making the internet work for more Indians, making our products more relevant to Indians, and taking the best of India to the rest of the world. The first internet users in India consumed English-language content on their PCs, and later, their high-end smartphones. Today, however, there is a generation of internet users with completely different needs—where their first and only internet experience is via a touchscreen and not a keyboard. We have a responsibility to make sure that our products work well for every one of these users. The first step is to provide more high-quality internet access. Google Station is partnering Andhra Pradesh State FiberNet Limited to cover over 12,000 villages, towns and cities in the state of Andhra Pradesh, potentially reaching 10 million people. This will provide high-quality internet access to areas that have never been connected before, from hospitals to villages. The second is to help improve the smartphone experience in India. Our Indian hardware partners on Android such as Micromax, Lava, Nokia and Transsion are creating Android (Go edition) phones at prices within reach of more Indians. Early next month Samsung will continue that momentum with the launch of its first ever Android (Go edition) device, the J2 Core. Many of India’s new internet users favor listening and speaking over reading text. That’s why we’re launching a new feature in Google Go that lets you listen to webpages. Powered by natural language processing and speech synthesis AI, this technology can read billions of webpages smoothly in a natural sounding voice. It supports 28 languages, including Hindi, Bengali, Malayalam, Marathi and Tamil—even on 2G connections. The majority of internet users in India today are Indian language users, and this number is expected to reach 500 million in the next two years. Smartphones are not useful unless they work in people’s primary language and provide access to great content in their native tongues. To that goal, we are working with Indian language publishers to bring more relevant content online. Right now, the amount of online content in Indian languages is only 1 percent of what's available in English. So we’ve started a project called Navlekhā, a word derived from Sanskrit meaning “a new way to write.” This project comprises a tool that uses AI to render any PDF containing Indian language content into editable text, making it easy for print publishers to create mobile-friendly web content. It also provides Indian language publishers with free web hosting with AdSense support, so they can immediately start monetizing their content. Publishers will also receive training and support, and a branded .page domain for the first three years. Navlekhā has already started onboarding publishers from Delhi, and we aim to welcome many more from other regions in September. Sign up for the program at g.co/navlekha. We’re also expanding the number of languages supported in our existing apps and services. The Search feed will now display your favourite news from both English and Hindi sources, using AI that learns which types of stories you like best. On the Google Assistant, we’re adding Marathi (with seven more Indian languages coming soon) and even more Indian apps—like Where Is My Train, Airtel, and Hello English—making them available through the convenience of voice control. We’re creating more locally relevant experiences for Indians as well. Google Maps Go now brings turn-by-turn navigation functionality, while incorporating a brand new home screen with handy shortcuts. Google Maps will now also deliver better guidance to public transport riders, informing them of upcoming stops and sending alerts when it’s time to get off. And thanks to our new partnership with RedBus—India's largest inter-city bus ticketing service—more than 20,000 inter-city bus routes in 1,500 cities will be added to Google Maps. Since launching our India-first payments app Tez last September, over 22 million people and businesses have used Tez to make over 750 million transactions that are collectively worth over $30 billion annually. We believe that many of the innovations and features we have pioneered with Tez will work in other countries. To take Tez beyond India, we will be unifying all of Google’s payment offerings globally. As a first step, Tez will now be called Google Pay. Other than the name, the app is staying the same with all the great features and functions you enjoy. Sending a gift with a Happy Birthday spark, or paying a merchant directly from your bank account with no fees is as quick and easy as ever. In the coming weeks, we’ll be making Google Pay even more useful by increasing the number of places you can use it in, expanding services for merchants, and working with banks to provide instant loans to Google Pay users. These are just a few things we’re working on to make sure that Indians have a great experience online, no matter what phone they’re on or what language they speak. We thank all the Indians who watch and upload videos on YouTube, navigate on Google Maps, use Google Pay, and Search for the information they need. By working hard to make your experience better, we’re also building better products for the world. This entry was posted in Official Google Blog and tagged Google in Asia, Next Billion Users on August 28, 2018 by The Official Google Blog. We launched Google Go last year as a lightweight, faster way to search the web on devices which may have less space or less reliable internet connections. Today, millions of people around the world use Google Go to learn, stay informed, and explore the web more easily than ever before. Despite the rapid growth of audio and video content online, the web is still predominantly made up of lengthy, text-based pages which aren’t always easy to read on the go. So it's not surprising we’ve received consistent requests for Google Go to make it more convenient to access web content. Today, we’re launching a new feature which will let everyone using Google Go’s browser listen to webpages out loud. Powered by natural language processing and speech synthesis AI, this technology can read aloud billions of webpages in 28 languages smoothly, and in a natural sounding voice, even on 2G connections. It also uses minimal cellular data. This technology relies on AI to determine which parts of a page to read, and which to leave out, so you only listen to what is important. Using this technology, consuming long-form text becomes as easy as watching TV or listening to the radio. It’s also helpful for multitasking, like following a recipe while cooking a meal, listening to articles while exercising, or catching up on news on your commute. People using Google Go come from many different backgrounds, and some might want extra tools to help read and pronounce new words—for example those with visual or reading impairments, people studying a foreign language, or those less comfortable reading long text. Today’s update makes it easier for anyone to access the richness of the web. For those learning new languages, each word is highlighted as it is read, allowing you to follow along and helping accelerate your learning. In the future, we’d like to bring the ability to listen to webpages to more Google products. Long term, we hope this is just one way we can use AI to make accessing the web easier for everyone. This entry was posted in Official Google Blog and tagged Next Billion Users on August 28, 2018 by The Official Google Blog. Everyone runs out of data sometimes. These moments sting—which is why we built Datally to help. And today, we’re releasing two new features to help you tame your data. Emergency bank saves some of your data so you have it protected for later—just in case you need it. Enter your balance and how much data you’d like to save for emergencies, and Datally will automatically block your apps from using data once you reach your emergency data allowance. You decide when and how to use your emergency bank data—for example, to send that urgent message or schedule a ride home. Check your data balance before bed, then check again when you wake up. It should be the same, shouldn’t it? Too often, apps drain your data overnight. Bedtime mode turns off all of your phone’s data usage at night. Choose your bedtime and wake up time, and Datally makes sure your data isn’t draining while you’re dozing. Datally’s mission is to help you never run out of data. You can use Emergency bank and Bedtime mode starting today. This entry was posted in Official Google Blog and tagged Next Billion Users on August 23, 2018 by The Official Google Blog. 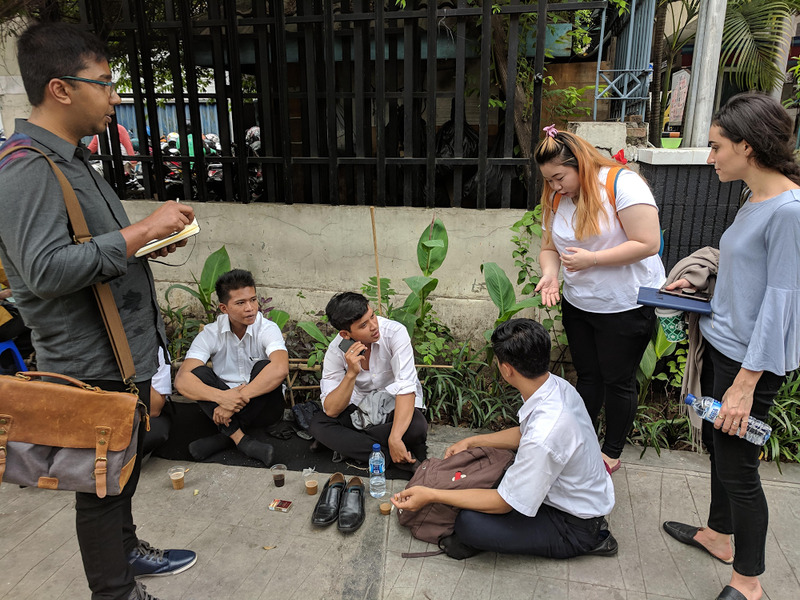 Although more Thais are going online, only about 13 percent of Thai small and medium sized businesses have websites, missing out on a rapidly growing local market. We are partnering Siam Commercial Bank to make it easier than ever for Thai businesses to get on Google My Business. 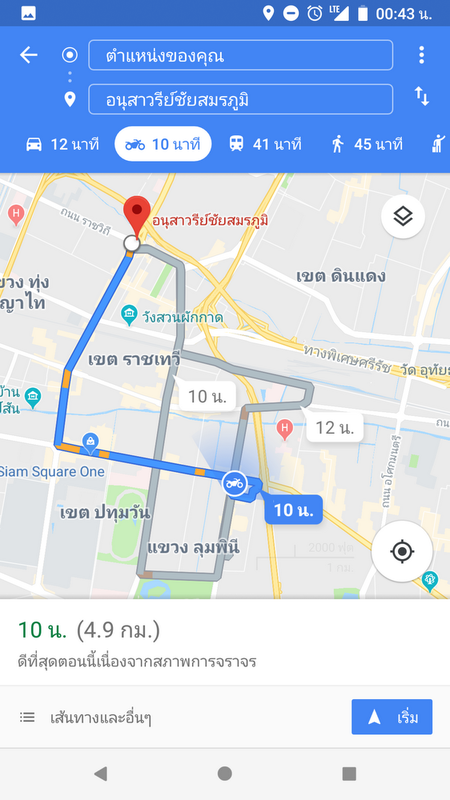 Business owners that aren’t so sure about how to get their free business listing on Google can now be guided through the process at any Siam Commercial Bank branch. This entry was posted in Official Google Blog and tagged Next Billion Users on July 18, 2018 by The Official Google Blog. Just about two years ago we introduced neural machine translation (NMT) to Google Translate, significantly improving accuracy of our online translations. Today, we’re bringing NMT technology offline—on device. 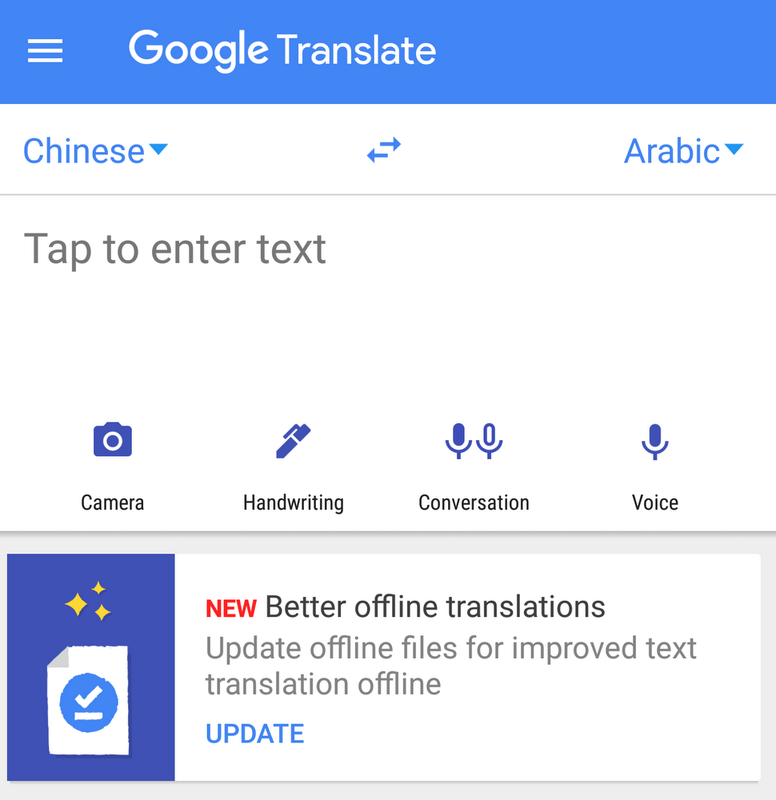 This means that the technology will run in the Google Translate apps directly on your Android or iOS device, so that you can get high-quality translations even when you don't have access to an internet connection. The neural system translates whole sentences at a time, rather than piece by piece. It uses broader context to help determine the most relevant translation, which it then rearranges and adjusts to sound more like a real person speaking with proper grammar. This makes translated paragraphs and articles a lot smoother and easier to read. Offline translations can be useful when traveling to other countries without a local data plan, if you don’t have access to internet, or if you just don’t want to use cellular data. And since each language set is just 35-45MB, they won’t take too much storage space on your phone when you download them. To try NMT offline translations, go to your Translate app on Android or iOS. If you’ve used offline translations before, you’ll see a banner on your home screen which will take you to the right place to update your offline files. If not, go to your offline translation settings and tap the arrow next to the language name to download the package for that language. Now you’ll be ready to translate text whether you’re online or not. We're rolling out this update in 59 languages over the next few days, so get out there and connect to the world around you! This entry was posted in Official Google Blog and tagged AI, Next Billion Users on June 12, 2018 by The Official Google Blog.